The Pioneer Scholarships Application is open from Oct 1 - Jan 31. Complete your application to be considered for over 100 institutional scholarships. The portal contains many external scholarship opportunities offered by companies and organizations outside CSUEB. Don't wait, apply now! 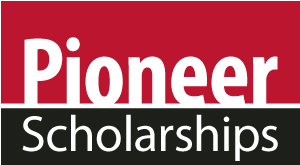 Admitted students and current students are eligible to complete the Pioneer Scholarship Application. Students can search for scholarship opportunities by major, academic program, interests, and more! You can monitor the submission of letters of recommendation and send electronic reminders to your references. Students can view scholarship offers and accept scholarship awards online. Students are able to submit thank you letters online and learn more about our scholarship donors. The majority of Pioneer Scholarships have a deadline of late January. See what you can do in the beginning of the academic year to prepare to apply. October - The Pioneer Scholarship application will open. January 31, 2019 - The general application will close for review. February - Scholarship Review Process begins. September - Begin drafting your Personal Statement “My Story” essay so that you are ready to go once the application portal opens up in October. Write an essay titled “My Story” that tells the scholarship review committee about you. Your essay should be single space and not exceed one page. Be specific about your academic and career goals. Discuss any obstacles you have overcome and any specific financial needs you have. This is your opportunity to share what makes you unique and deserving of a scholarship. If you need help writing your “My Story”, go to the “Tips for Writing Your “My Story” Essay section on our scholarships webpage. Once signed in for the first time, you will be taken to the General Application. Answer the General Application questions. If you have already written your “My Story” essay, you can copy and paste it in the appropriate field. Under the “General Application Progress” heading on the left-hand side of the page, click “Applicant Record”. Review your information in the Applicant Record Data section and verify that it is accurate. You may update or make changes to personal information, such as your phone number, mailing address, or email address, via MyCSUEB portal. For questions pertaining to your academic information, please contact the Registrar’s Office. Click on the “Finish and Submit” button on the bottom of the page. *Please note: You can edit the information on the General Application at any time until the deadline for each scholarship opportunity. If you do change any information in your general scholarship application, including profile information or applicant record data, prior to the scholarship deadline, it will get updated for all scholarships for which you’ve applied. Once you complete the General Application and click Finish and Submit, you will see a list of scholarships that are recommended for you to apply to if you meet the criteria listed. There you will also be able to view the individual deadlines for each scholarship. Click on “Other Recommended Opportunities” to see a list of scholarship opportunities you may qualify for based on imported data in your applicant record and the information from your General Application. Click on “My Applications” to see the status of your applications. Be sure to apply for all Recommended Scholarship Opportunities you qualify for. Write an essay titled “My Story: that tells us about you. Be Specific about your academic and career goals, and how you plan to reach those goals. Discuss any obstacles you have overcome and any specific financial needs you have. This is your opportunity to share with us what makes you unique and deserving of a scholarship. (1) Write an essay titled “My Story” that tells us about you. Be specific about your academic and career goals, and how you plan to reach those goals. TIPS: Mention your major, or program you are pursuing. Also, if you feel you haven’t settled on a direction or major, discuss the options you are considering and what you’re doing to settle on an option. The point is to show that you are mature and are thinking of your own future. The readers want to award a student who will put the scholarship money to good use. I want to be a teacher and work in a school that serves low-income children. I want to be an engineer and work for Cisco so that I can create new products that will keep Silicon Valley a strong and competitive location for the tech industry. I’m not sure what I want to do, but I am considering becoming a financial analyst. I’ve talked to some of my friends’ parents. I also plan on contacting different collages about their Graduate level economics and business programs. Also…. (2) Discuss any obstacles you have overcome and any specific financial needs you have. This is your opportunity to share with us what makes you unique and deserving of a scholarship. Obstacles can be anything from your financial situation, to being the first in your family to go to college, to not having your own mode of transportation. You just have to show why that obstacle is important and why a scholarship will help you overcome this and other obstacles. Second, discuss how you overcame that obstacle. Not having a car: I take the bus to school even though it takes me two hours to get to school every day. I also carpool when I can. Being a parent and going to school full time: I am a single parent with two kids. My family and friends help me with child care so that I can go to school…. Read the prompt several times and think about what it is really asking. Try to restate the prompt in your own words. Start at least three weeks before the deadline, if possible. Read the prompt again and think about it. SHOW, don’t tell. - Avoid words and phrases without explanation. For example, if you use the words shown below, you will have to explain (or show) why you felt this way and how the experience you’re describing impacted your life. Don’t read it for at least 24 hours! Then read it again and be very critical and check for mistakes you know you usually make. Introduction: Briefly, who are you? What’s your major? Give a little background info. Background on what has inspired you to choose your major. Career goals. What do you plan to do when you leave CSU East Bay? Why are you in school? Financial need. How will you use the scholarship if you receive it? Conclude. Questions? - Contact Karima Karim in the Office of Financial Aid and Scholarships at Karima.karim@csueastbay.edu. The Financial Aid & Scholarship Office at CSUEB provides scholarship availability to international students. International students will only be eligible for those scholarships that are merit-based. Need-based scholarships are part of Financial Aid, which is unavailable to international students. Scholarships are offered by organizations or agencies, other than CSUEB, such as churches or fraternal organizations. You also may be eligible for student assistant jobs and scholarships offered by your major department. IEFA: Resource for financial aid, scholarship and grant information. You need a study break and filling out a scholarship application is a good diversion. You have studied many long hours to get great grades. Scholarships are investments in our future- YOU! Not all scholarships are based on need, some are based on academic or personal achievements. Scholarships are a great way to pay for school - it is funding that you don't have to pay back! Rather than having to search for scholarships and complete numerous applications, Pioneer Scholarships is an opportunity to apply for multiple scholarships with one application. You are unique in all that you do and it is about time that you tell someone else about it. Asking for letters of recommendation gives you a chance to connect with your professors without worrying about your grades. There are many scholarships that were setup with exactly you and your talents in mind. Writing an essay about yourself may not be an easy task, but good practice for writing cover letters, resumes and personal statements. “Opportunities” refers to scholarship opportunities. If I don’t receive financial aid, can I still get a scholarship? Absolutely! Only some scholarships require the filing of the FAFSA – in order to demonstrate financial need. Q: If I do receive financial aid and a scholarship, will my financial aid be affected? Scholarships are accounted for in your financial aid package, as they are considered an educational resource. Q: Will my other financial aid be reduced if I win a scholarship? While this is possible, it is unlikely. When this does occur, it is typically only when Loans are taken out, up to the Cost of Attendance (COA) budget. In that case, the loans are reduced and replaced by the scholarship: we are swapping free money for money that would have had to be repaid. Where can I update information for my “Applicant Record”? You may update or make changes to personal information, such as your phone number, mailing address, or email address, via MyCSUEB. For questions pertaining to your academic information, please contact the Registrar’s Office. Am I eligible for scholarship opportunities if I have not been admitted to CSUEB yet? You may apply for scholarship opportunities; however, your application will only be considered if you are admitted, and you meet scholarship eligibility requirements. Your scholarship application does not guarantee admission to CSUEB. Based on your information and General Application responses, “Recommended” scholarship opportunities are suggested for your review because you might qualify. Please review the description of the scholarship opportunity, and if you meet all eligibility requirements, complete all Supplemental Questions to apply. If you read the description and you know that you do not qualify, please do not apply. Please note, “Recommended” does not guarantee qualification. The “Ours” link scholarship opportunities will show all scholarships without filtering them based on your individual information. Some scholarships do not require additional information and if you qualify, you will be automatically considered. The first step in applying to any opportunities in the Pioneer Scholarship Application is to submit the General Application. Can I make changes to my General Application after it is submitted? Yes, you may make changes to your General Application after it is submitted. However, please note that the system completes a point-in-time snapshot of your application when applying for individual scholarship opportunities based on its respective deadline date. What is a “Confidential” reference? The “Confidential” reference option allows you to enter the name and email address of a reference provider, such as a current or previous professor, if they would prefer to upload their letter of recommendation confidentially. The status of the letter of recommendation will show as either “Requested” or “Submitted”. Can I update my applications under Active opportunities? When will I be notified if I am awarded a scholarship? Scholarship opportunities are offered by many departments and colleges across campus with different deadlines dates; therefore, we suggest that you occasionally log in and check for updates. If selected for a scholarship, the department will contact you directly. Why don’t I have more scholarship opportunities on my “Recommended” list? “Recommended” opportunities provide you with suggested scholarships for your review to determine if you meet eligibility requirements. Scholarship opportunities have various beginning and end dates, so we strongly encourage you to continuously log in and check for new scholarship opportunities. “External” scholarship opportunities are scholarships that are not affiliated with CSUEB. They are off campus private scholarship notices and are listed for your consideration at the request of private organizations. These scholarships require a separate application and have various eligibility requirements and deadlines. Interested applicants must contact the organization directly with questions.